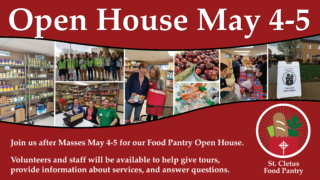 Join us after Masses for our Food Pantry Open House! Volunteers and staff will be available to help give tours, provide information about services, and answer questions. We hope you can join us!